We are a full service chiropractic, acupuncture, neurofeedback, rehabilitation, and wellness clinic located in the Donelson area of Nashville. We have four doctors with over 90 years of experience collectively, specializing in a wide spectrum of conditions and treatment techniques to help people like you. We have four rehab specialists and full rehab capabilities and therapies including, but not limited to Acupuncture, Spinal Decompression, Massage Therapy, Regenerative Medicine, BrainCore Neurofeedback, Nutritional Testing, Vitamins and Supplements, DOT Physicals, Cold Laser Therapy, and more. To enrich the lives of people in this community by improving the physical, spiritual, & social health of the individuals that come into our office. We honor the inherent recuperative powers of the body to heal itself given that there is no structural or chemical imbalance. We detect and correct these interferences, especially those pertaining to the structural component, and give advice and motivation for important health factors such as nutrition, exercise, and relaxation in order to give the body all that is needs to not only feel better, but more importantly to function at an optimal level. Our goal is simple: to help you get well and achieve an even higher level of health. We’ll explain everything as we go and tell you immediately if we think we can help you. We know and work with some of the best doctors in Nashville, so if we can’t help you, we’ll make sure you get to the proper specialist. We believe we are one of a few Chiropractic Practices in Nashville that has continued to evolve and look for ways to add more services to help people like you, yet have stayed true to our core in providing cutting edge treatment with a friendly atmosphere where you’ll see immediately that we go above and beyond to treat you like our own family. Of course, we pride ourselves and measure our success by the results we see daily with a variety of conditions and symptoms. With a more active, hands-on approach, more chiropractic services offered, and more knowledge collectively, we sincerely hope you’ll give us the opportunity to help. We’ll go the extra mile to make sure that your experience here exceeds your expectations. We welcome you to our website and hope to see you soon at our Nashville office. 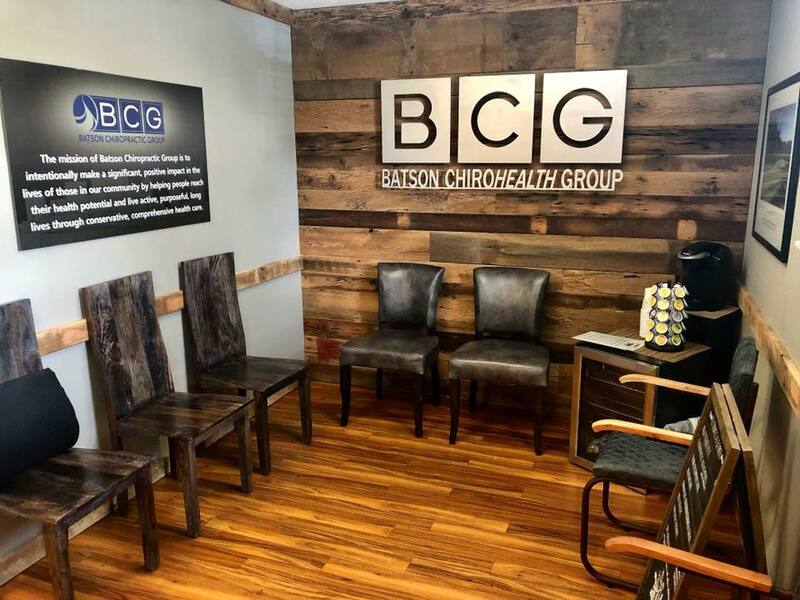 Call Batson ChiroHealth Group for a same day appointment – you have nothing to lose but your PAIN.